Right, let’s address this head on. If your careers website isn’t mobile friendly then you’re missing out on some talented people. Not only are you ignoring the 45% of job seekers who say that they use their mobile device specifically to search for jobs at least once a day 1, but also Google will be penalising your website in the process 2. It makes sense to make your careers website mobile friendly, so just do it. But just how far do you take this mobile friendliness? What are the expectations of a modern job seeker? Are they happy just to browse for jobs or do they want to do an in-depth search? And if they find the perfect job do they want to apply there and then? If so, how should we support this? All good questions and the answer as always is … it depends. It depends on your target audience, depends on the nature of the role you are recruiting for and depends on what hiring managers expect from a job application. Having worked with many resourcing teams in many organisations, I know the blood, sweat and tears that have gone into establishing the recruitment process and the part that the careers website and applicant tracking system play in that. Now those processes may be out-dated, clumsy and designed to meet the traditional recruitment needs of a hiring manager, but they are often deeply engrained within the business. So I can understand the reluctance to throwing them out to meet the needs of a mobile job seeker. But it seems that we don’t have to. A recent report by Madgex 3 suggests that while job seeking on a mobile is popular, many users don’t trust their mobiles when actually applying for a job. 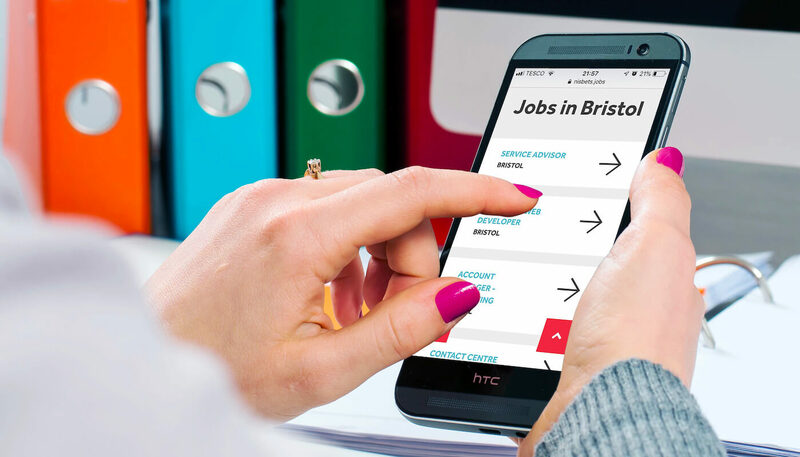 In fact, two thirds of those surveyed have never applied for a job through their mobile, the major concerns being the size of the screen, a lack of a proper keyboard and the difficulties cross-referencing the advert when making an application. The research suggests that job seekers would much rather save or bookmark an advert to look at (or apply for) later on a desktop. Now while the Madgex piece of research centres on job boards, I am in no doubt that the same is true of careers websites and applicant tracking systems. If not more so. As applying for jobs via job boards could be deemed a transactional activity, while applying via a company’s own careers website is a far more engaged and emotional process. So it seems that job seekers’ opinion of mobile job applications (m-apply) is viewed with as much distrust as many of the employers that I have worked with. So no need to rip up your 16 step online application process just yet. Phew. But be aware, this could quickly change. And if it does, how quickly could you react to it? Maybe you should be thinking now about the data you capture in your online application form and whether it is actually helping you identify the very best talent. Are you collecting irrelevant information? Or even worse using a long, field-ridden application form, because simply the act of completing it shows that the job seeker ‘is committed to working for you’. You should be ashamed of yourselves if you are! The wise thing to do would be to tailor your application process to meet the behaviour of your target audience. I know of one call centre employer who saw that over 60% of the traffic to their website came through a smartphone or tablet and so introduced an application process designed to match their mobile audience. Step one was invariable carried out on a mobile and consisted of a simple data capture form. Completing this then generated an email asking the job seeker to complete a second more detailed application step. While there is a natural drop off between steps 1 and 2, the employer has the data from step 1 and is able to contact directly them to encourage them and help them navigate their way through the application process. It is an approach that means that not only are over 60% of their website visits via a mobile device, but so are 60% of their applications. It’s process that seems to reflect the findings of the Madgex report and maybe the best way to meet the needs of the modern, mobile job seeker and the expectations of the traditional line manager. At the moment. 1 Glassdoor, 50 HR and Recruiting Stats That Make You Think (2016). 2 Google, Make sure that your website’s ready for mobile-friendly Google search results (2015). 3 Madgex, Job Seeker Behaviour Part 2: Multi Device Applications (2016).